What a great discovery! 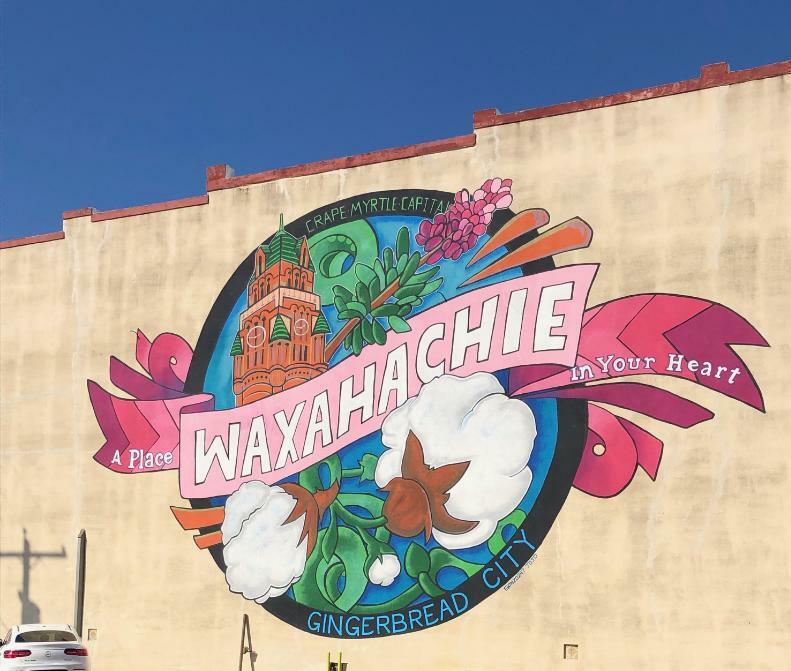 Waxahachie, the Gingerbread City – named for its nearly 200 Victorian and Gingerbread architectural homes. 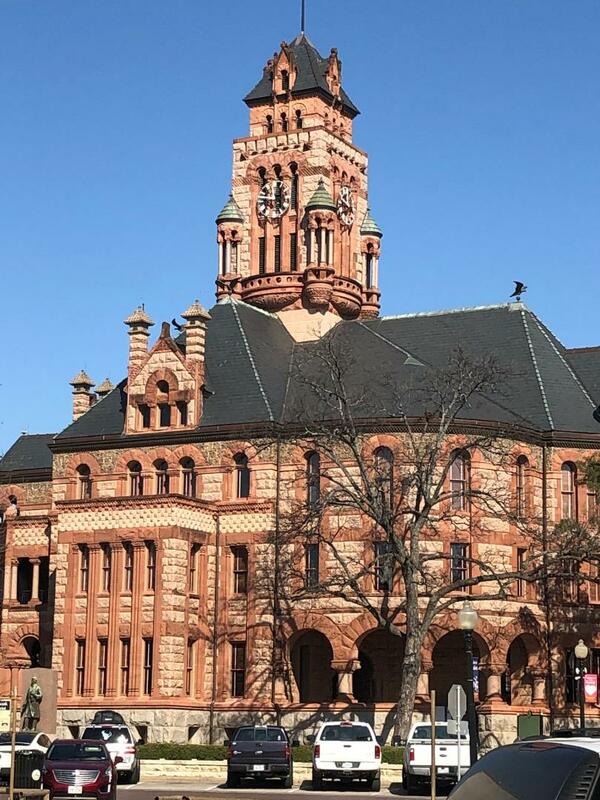 Downtown Waxahachie was a wonderful and charming destination, with great shops, friendly people and a beautiful courthouse. First stop was the Ellis Country Museum. 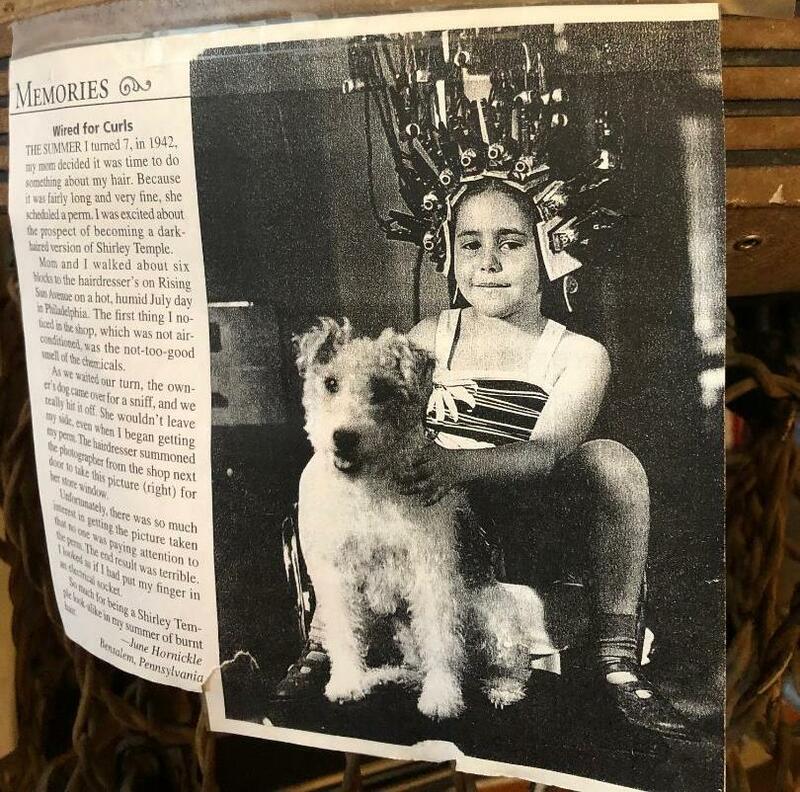 There was a large amount of items displayed from WWII but the one we found the most interesting was the contraption used at hair There was a large amount of items displayed from WWII but the one we found the most interesting was the contraption used at hair salons to give perms. Can you imagine sitting in that contraption with the smell of chemicals and burning hair? Then it was off to dine at the Dove’s Nest Restaurant, where the food was amazing. 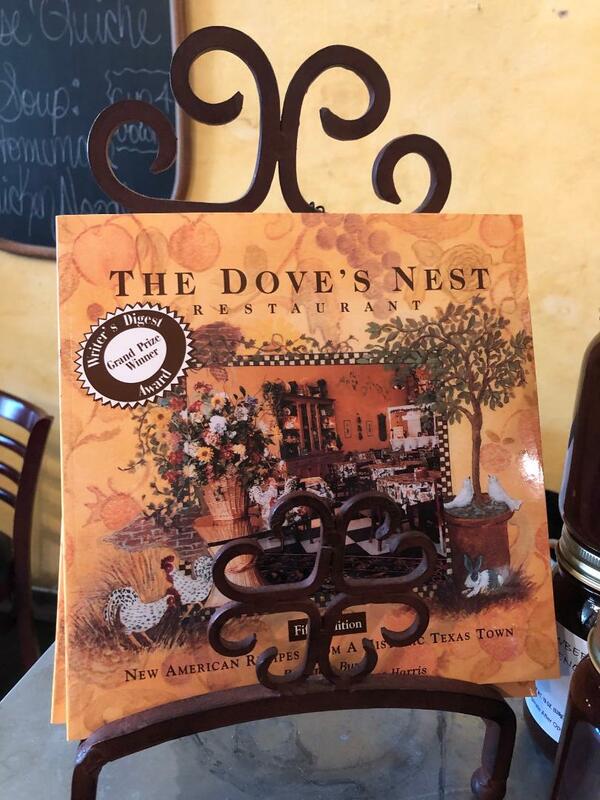 Our Dove’s Nest Club Panini was one of the best sandwiches we’ve ever had (was it their famous almond bacon cheddar spread?). The blackberry bread pudding with vanilla ice cream and whipped cream was a perfect end to the meal. 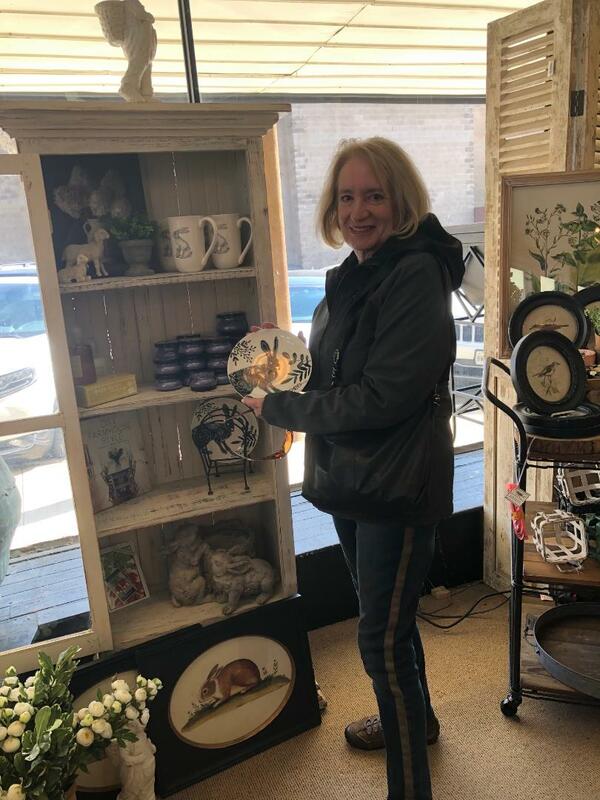 Plus, they had a fun gift shop, where Laura just had to buy a rabbit plate, thus launching her new animal plate collection. Next up was The High Cotton Exchange where a great little pitcher and a beautiful serving bowl called Barbara’s name. For years, Barbara has wanted to collect different china sets for holidays and although that urge has been pared down to single serving bowls, Barbara’s long overdue wish to start her collection has now been fulfilled. 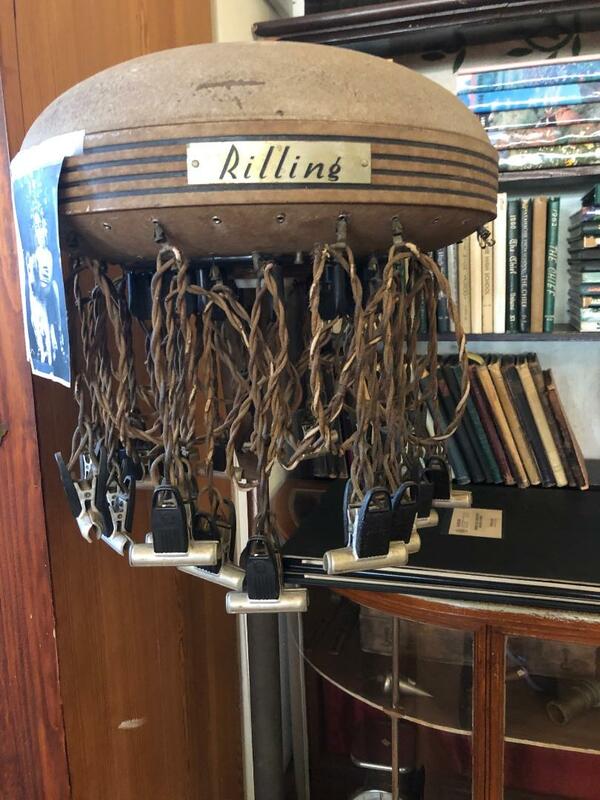 We can see a lot of antique shops in our future. We capped off our excursion with a walk past the Courthouse (one of the prettiest we’ve seen), a visit to the Folk Art Gallery, and a short ride past some of those Victorian homes. If not for the ABC Life we may never have discovered this charming town!